It’s 1980, the text across the screen tells us. Jason Statham in a perm wig, you hope? Sadly not – but Killer Elite’s period setting does provide an excellent excuse for a retro action movie, based on Sir Ranulph Fiennes’ controversial “factional” novel The Feather Men. 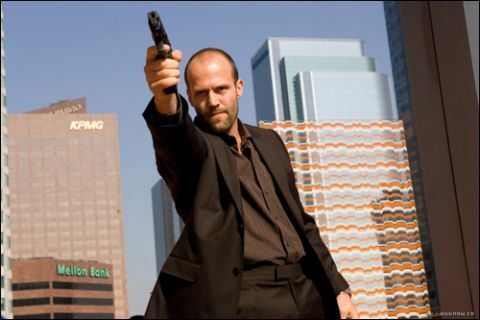 Danny Bryce (Statham) is a top-notch assassin who’s recently retired after an attack of conscience. When his former mentor Hunter (Robert De Niro) is kidnapped by a Dubai sheik, he gets drawn into a plot to avenge the deaths of the sheik’s sons by offing the SAS operatives responsible. They missed a trick not casting Brucie in De Niro’s role – Killer Elite could have been the symbolic anointing of action cinema’s baldy heir apparent – but there’s no doubt that Statham is the right man for the job. His post-Lock Stock career has been a study in the wisdom of sticking to what you’re good at (The Transporter, The Expendables, Crank) and Killer Elite is exactly that. Clive Owen may be an actor of subtler talents, but as Danny’s foe, Spike, he takes a leaf out of Statham’s book, constantly looking like he’s just burst through your front door on the hunt for someone to punch. Not that there’s much else to do. Even for a meat-and-potatoes actioner, Killer Elite is short on character motivation and coherent plotting. And you can forget fancy bendy bullets and slo-mo high kicks, debut director Gary McKendry is all about good old-fashioned punch-ups and explosions. That leaves it to facial hair to convey the only salient detail – these are manly men. Expect more mutton chops than a butcher’s window.